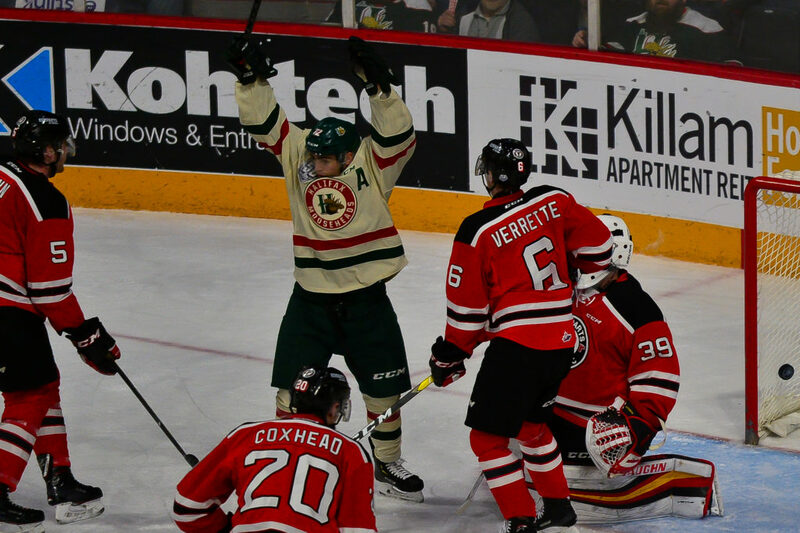 The Halifax Mooseheads have wrapped up the 2018-19 regular season as the top team in the QMJHL’s Eastern Conference with a 49-15-2-2 record and will face off with the eighth seeded Quebec Remparts in the first round of the President Cup Playoffs beginning Friday night at 7pm in Halifax. “Well this is obviously the moment that we’ve talked about the whole year, starting even in our first meeting as a team. Our goal was to get the team ready and prepared for the playoffs and here we are,” Head Coach Eric Veilleux said. The Moose hold home ice advantage for the 2-3-2 series format after posting the second-best record in franchise history. Patrick Roy’s Remparts held the upper hand in the season series versus Halifax with a 6-2 win at the Videotron Centre in early October and a 4-3 overtime victory at Scotiabank Centre on January 5th. Quebec held a 27-28-7-6 record to grab the final playoff berth in the conference. Veilleux said despite a 35-point difference in the standings, he expects a hard fought series between the two big market rivals. Injuries were a theme for the Mooseheads throughout the season and a few key players are banged up heading into the playoffs, including top-line forwards Raphael Lavoie and Antoine Morand who have been out with upper body injuries since getting hurt against Moncton on March 9th. Coach Veilleux said it’s still not determined if they will be available come Friday night at Scotiabank Centre. Forward Maxime Trepanier has also been sidelined since February 15th after he was re-injured in his first game back on more than a month. His return date is expected to be further away than both Lavoie and Morand but the team is hopeful to see him during the postseason. All three players are listed as day-to-day and would be key additions to the lineup with a 183 combined points between them during the regular season. The Remparts don’t have a clear-cut number one goalie with Carmine-Anthony Pagliarulo and Kyle Jessiman splitting the duties in the second-half of the season. Pagliarulo was 14-13-1 with a 2.70 goals against average and an .895 save percentage. Jessiman, acquired from Baie-Comeau for Dereck Baribeau in December, was 3-8 in 15 games with Quebec and posted a 3.98 goals against average with an .864 save percentage. Alex Gravel will be called upon to carry the load for the Mooseheads in his third playoff season. He set career highs with 33 wins in 2018-19 along with a 2.49 goals against average (third best in franchise history) and a .913 save percentage. Gravel has performed well in the past in the playoffs with 877 career postseason minutes with a 2.80 goals against average and .921 save percentage. Samuel Asselin continues to drive the offence for Halifax. He led the QMJHL with 48 goals and finished with a career high 86 points. Quebec’s top player is Switzerland native Philipp Kurashev. The Chicago Blackhawks prospect had 29 goals and 65 points this season to lead the Remparts in scoring. These two storied franchises have only ever met once before in the President Cup Playoffs with that epic 2012 second round series that saw the Mooseheads make the improbable comeback from a 3-0 series deficit to win Game 7 on the road as Cameron Critchlow scored four goals and Jonathan Drouin netted the dramatic overtime winner. Individual tickets go on sale Tuesday morning at 11am at the Ticket Atlantic Box Office, select Superstore Outlets, TicketAtlantic.com, the Official Mooseheads Shop in Scotia Square or charge by phone 902-451-1221.